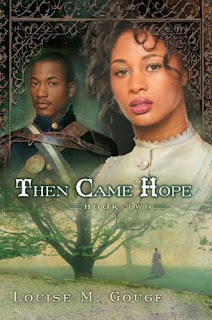 The Civil War is over; Juliana wants to help the South heal and repent of its past…Andre swears never to forgive the North for what they did to his family. Juliana has traveled to war-ravaged New Orleans to help the people devastated by the conflict. Having been a strict abolitionist who was part of the Underground Railroad, she seeks to help the South understand the transgression of slavery. Andre and Juliana’s attraction is immediate and obvious, but they quickly discover how diverse two people can be in their values and beliefs. Even in the midst of their warring points of view, Andre cannot help but notice Juliana’s courage and resilience—and remarkable impact. Through the commitment of three former slaves, Andre discovers secrets form his family’s past that force him to face head on his own views of the intrinsic worth and dignity of all people. Johns. A long and arduous journey takes this rag-tag band of survivors through a violent flood, bitter southerners, hunger and exhaustion under a blazing summer sun, and even a murder charge and near lynching. With the help of two humble farmers, they at last earn their train and boat fare to Boston. Back in his home city, Ezra works to complete his education. However, he discovers that despite his service to his country, black men still must struggle for respect and a place in American society. 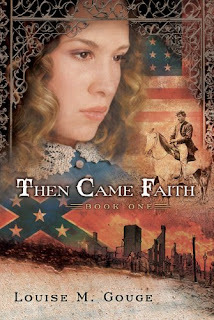 Torn apart by the Civil War, two young couples find restoration through love, grace, and forgiveness. Louisa Maria Downs has waited three long years for her soldier-sweetheart’s homecoming. But when he returns, John Jacobs stands aloof, his deep blue eyes revealing his longing for her, but his lips strangely silent. Convinced it is God’s will for them to marry, Louisa defies decorum and pursues the man who has owned her heart since she was twelve years old. John Jacobs has spent three years fighting to keep the Union intact. Now back home, he longs to marry the young woman he has admired since boyhood. But shattering memories of what he did during the war magnify the bloodstains on his hands. He awakens each day more certain than ever that he is not worthy of the love of a decent woman, much less the love of God.